With the temperatures regularly making their way into the 100s this summer, are you managing to stay comfortable at home? Many homeowners across our area are struggling to keep their cold conditioned air in, and the hot air out. One of the biggest culprits is old, drafty windows. So how can you effectively stop cold air from leaking out and keep your home’s temperature right where you want it? Old windows with poor framing leave gaps and cracks that allow drafts and heat in during the summer. They also allow your home’s cool, air conditioned air to escape. Day in, day out, you’re left feeling hot and uncomfortable. Installing new, energy efficient windows properly will help keep your home at the temperature you desire and get rid of those pesky drafts! At California Energy Services, we can install new, high-performance Milgard windows for your home. With a wide selection of options like single and double hung, horizontal slider, picture, casement, arch windows and more, you’ll be able to select the exact styles you need to suit your home’s aesthetic and your needs. Energy efficient windows from Milgard are made from durable materials like wood, fiberglass, vinyl, and aluminum, so they will fit the look you’re going for while helping to improve your home’s comfort and increase energy savings. If you’re tired of paying energy bills that are through the roof and still being uncomfortable at home, it’s time to solve the problem for good! 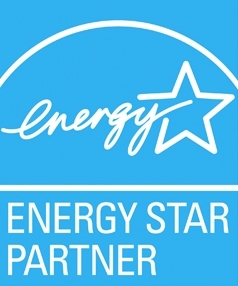 Our team at California Energy Services can begin with an energy audit to identify exactly what your home will need to improve its energy efficiency. If one of the answers is to install replacement windows, there are multiple rebate and financing solutions to make the upgrades even more affordable. You might be eligible for rebates from Energy Upgrade California or PACE financing from Ygrene or CaliforniaFIRST. We can walk you through the process and make improving the energy efficiency of your home easy and affordable. Don’t lose any more cold air this summer — keep it inside with new, energy efficient windows. Contact us or call (916) 737-1107 to schedule a consultation today! Newer Post5 Tips for Beating That Hot Summer Heat! Older PostPut That Hot Sun to Good Use... Go Solar!